HORCHLERP Custom Leaded Glass Bevel Vertical	Sidelight Window Custom Glass Design. "HORCHLERP" CLEAR LEADED GLASS SIDELIGHT WINDOW WITH BEVEL SETS, ANOTHER MASTERPIECE BY JACK McCOY©. This leaded glass bevel window was 11" x 58". 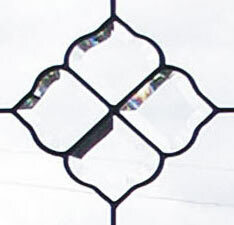 This window was made up of bevels and clear and textured glass with no color. 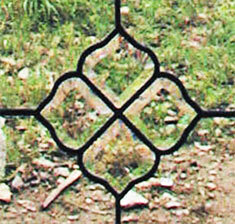 This leaded glass beveled sidelight window was made custom for a private residence in Milan, Ohio. Rotate for a beautiful transom.